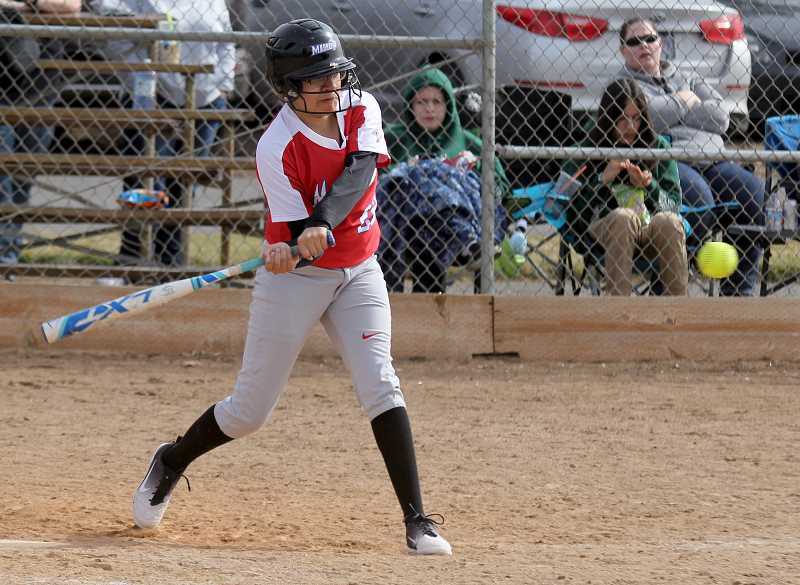 The Madras softball team had a big sixth inning, which allowed the Lady Buffs to beat the La Pine Hawks 10-0, April 3 at home. Madras and La Pine were both held scoreless in the first inning of play, but Madras was able to score in the bottom of the second inning, taking a 1-0 lead. The Lady Buffs couldn't score in the third inning, but scored two runs in both the fourth and fifth innings, extending their lead to five. Madras exploded for five runs in the sixth inning and defeated the Hawks. Seniors Lizzie Steuart took the mound for the Lady Buffs and struckout six batters, only allowing two hits through six innings. Madras did not commit a single error, while La Pine ended the day with four errors. The Buffalos had 11 hits as a team and were led by Jiana Smith-Francis, who went 2-for-3 with two doubles and two RBIs. Mary Olney ended the day 2-for-4 with two RBI doubles and Steuart went 2-for-4 with two doubles and an RBI. Freshman Marilyn Tom went 2-for-3 with a double, while Ashanti Quintana was 2-for-3 at the plate. Jonissa Scott and Delaney Vibbert also contributed with a hit for the Lady Buffs. 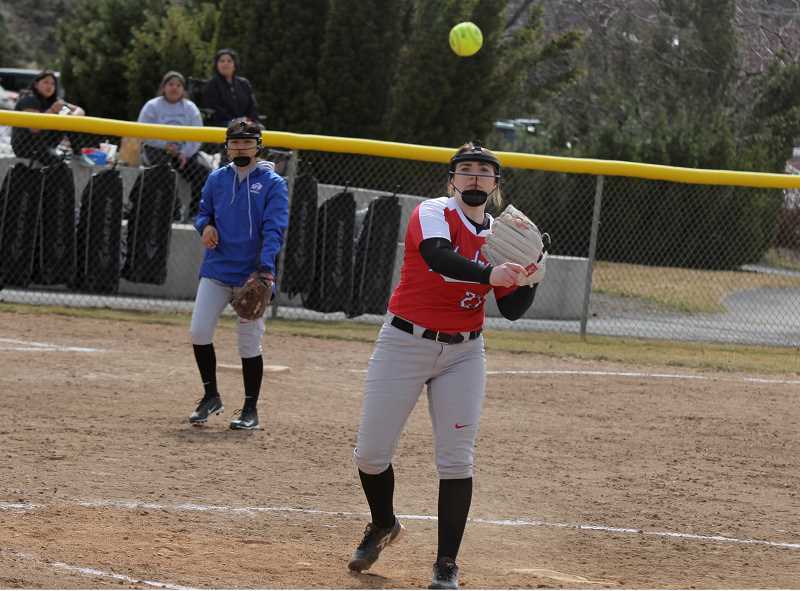 "The team played excellent defense," said head Madras softball coach Shawna McConnell. "Our players were very versatile, adapting to various defensive lineups, depending on the pitcher. The entire lineup had excellent execution of the short game, taking advantage of La Pine's inexperienced infield." "It was a great day in the circle for Lizzie (Steuart)," she said. "She threw really well and Hannah (Holliday) and coach (Donnie) Bagley called a great game." Madras (5-2) travel to North Marion (6-2), Wednesday, April 10. They have a home game against the Huskies at 4:30 p.m. Friday, April 12. The Lady Buffs and the Corbett Cardinals have been trying to play each other for some time now, but the weather hasn't allowed the two to play. After several rescheduled games, the Lady Buffs will try to play the Cardinals at 1 and 3 p.m. Saturday, April 13, in a doubleheader at Corbett.